Zoram Peoples Movement (ZPM) steering committee has said the party will go alone in the three upcoming elections – Lok Sabha Elections, AMC election and by-election to Aizawl West-I Constituency. Despite recent statements of the ZPM Leader Lalduhoma that the party has been in talks with Congress to form an alliance in the MP election and the Congress President confirming the same, the parties seemed to have come to a disagreement over selection of candidates. The ZPM Leader Lalduhoma explained the reason for their disagreement saying the party had expressed its desire to have candidature in both the by-election as well as parliamentary election but the Congress party disagreed as they wanted their representative to stand in the Lok Sabha election. As the two couldn’t come to an agreement, they had to revoke their decision to form alliance. 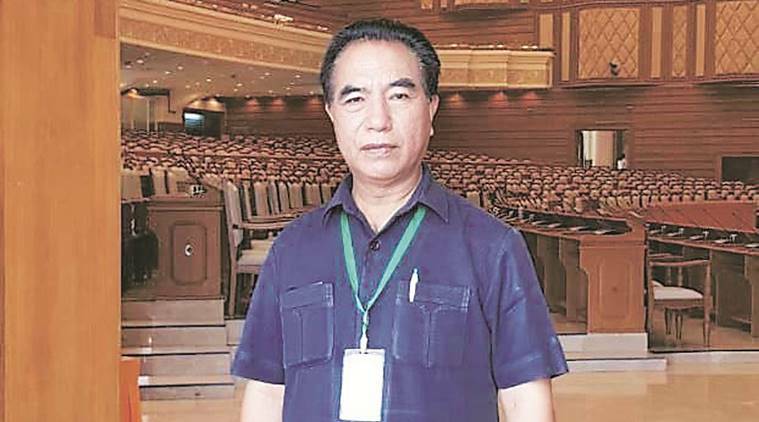 “We wanted our party representative in the MLA by-election in Aizawl West-I constituency because the seat was won by ZPM in the MLA 2018 elections and we also require a party representative in the MP election as we are a new party and we need build our reputation,” said Lalduhoma. Congress leaders refused to agree to the proposal and responded saying if they agree to such a proposal their leaders in Delhi will not be pleased. “What we fear most is that BJP and its ally MNF will win a seat in the MP election as they are the ones proceeding with the Citizenship Amendment Bill. If MNF wins a seat, MNF MP will be NEDA MP,” added Lalduhoma. He has made an appeal to the people of Mizoram to vote for ZPM if they love their culture, irrespective of whether they belong to MNF or Congress parties. The ZPM leader said they came to a decision to have talks with the Congress party as they wanted to unite with all non-BJP parties, but sadly they couldn’t come to an agreement. In an interview on January 23, 2019 the Congress President Lal Thanhawla had said the party will be working with ZPM in the MP election as well as Assembly by-election and said he was happy that Lalduhoma had proposed the alliance.